Unhealthy lifestyle choices such consuming too much high cholesterol / greasy / fatty foods and or excess alcohol and drugs /synthetic medication. A combination of one or more of the above can cause the liver to be overworked and overloaded and as a result ends up storing fat inside the liver. 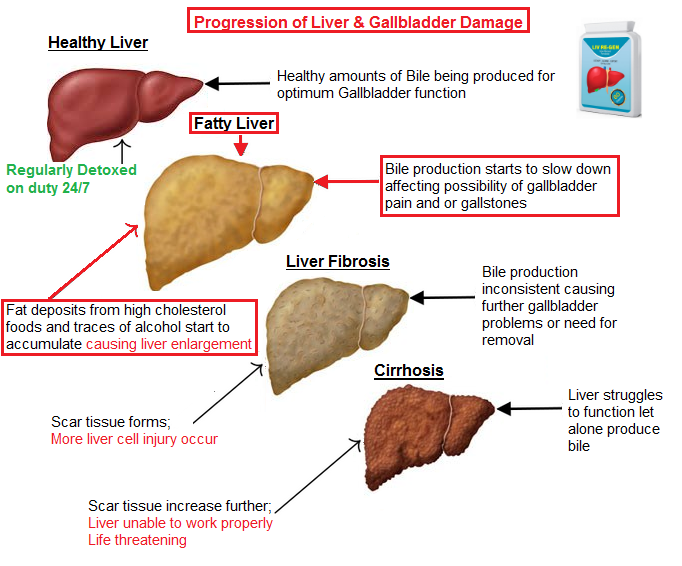 A Fatty liver left untreated can lead to serious liver damage, including cirrhosis, if the liver continues to get abused, overloaded and overworked. A fatty liver left untreated can lead to the liver growing in physical size and lead to what is referred to as an "enlarged liver" and then the next phase of Liver Damage know as "Liver Fibrosis" (see image above) where scars start to form on the liver. There are no specific medications or surgeries to treat fatty liver. 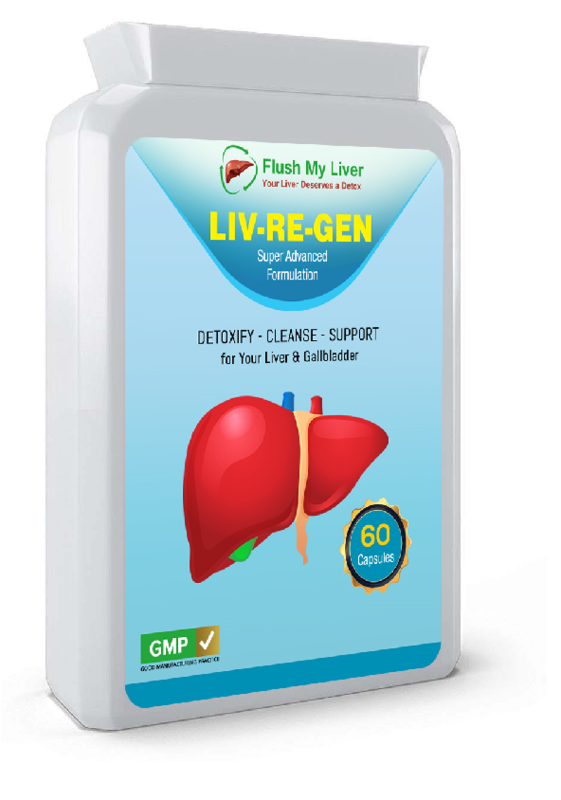 Your doctor will instead give you some general advice such as "eat more healthy every-single-day"
Fortunately our very own Natural Liver supplement "Liv-Re-Gen" each capsule contains a whopping 15 ingredients, each and every-single ingredient is beneficial for your Liver that you Liver will love in order to help detox from Fatty Liver. Liv-Re-Gen is 100% Natural, even the capsule shell we used is vegetarian, this is important because tablets that contain binders can end up taxing the liver even more.